Yup, another smoothie. And it’s SO good. Per usual. I had kind of fallen off the peanut butter train for a while, but my dad came home from a trip to the grocery store with two large jars of pb the other day so I HAD to indulge. 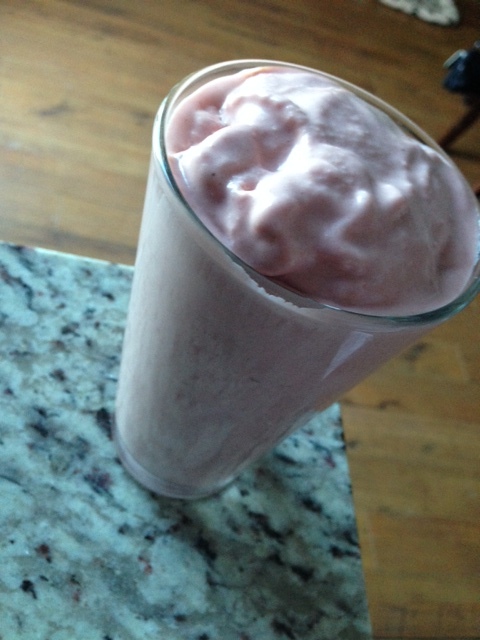 What better way than to add some of the sweet stuff to a smoothie! Gosh. I really do love my Vitamix. There are way too many combinations of smoothies I can throw together- especially now that I have a blender that actually BLENDS. Saturday morning, I was craving a PB&J but didn’t really want the actual sandwich for breakfast, so I decided to try to whip something up in my handy dandy blender to mimic the awesome PB&J taste. 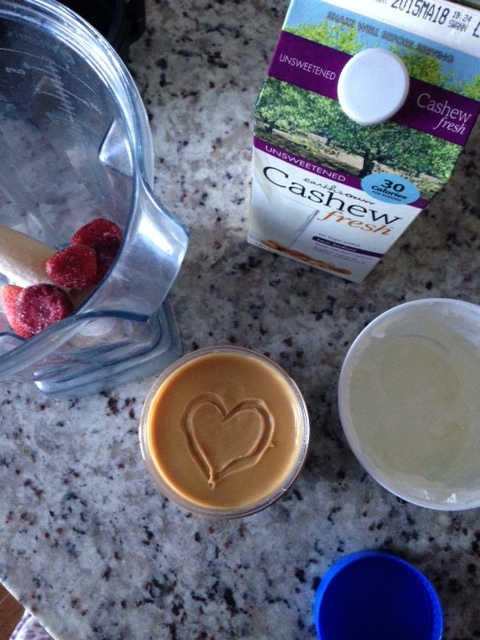 I also apparently felt compelled to draw a little heart in the new jar of pb. I must’ve been low on blood sugar or something. Your turn: What’s your favorite PB&J version? It’s weird I don’t really like oats in my smoothies I find it gives it a funny texture. But the rest of this smoothie sounds yummy. I hear ya- but with my new blender, it eliminates their texture entirely!! Yum. I need a vitamix. I looove making pb&j smoothies! I honestly like them more than the sandwich. Going to need to try this! I’m a fan of anything PB!